Reel Cinemas flagship cinema was renovated in 2018. 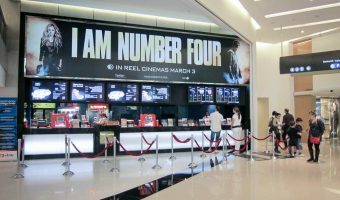 Now with 26 screens, it is the biggest movie theatre in Dubai. Renovations saw the introduction of an advanced, automated ticket and food ordering systems. New theatre experiences were also added. Dine-In theatres offer restaurant-standard meals from a menu devised by Guy Fieri. The American restaurateur is best known for his shows on the Food Network (Diners, Drive-Ins, and Dives etc.). Platinum theatres offer patrons a luxury experience. Benefits include a private lounge, leather reclining chairs, side tables, and personal butler service. ScreenX offers a 270 degree cinema experience, with films projected onto three walls. 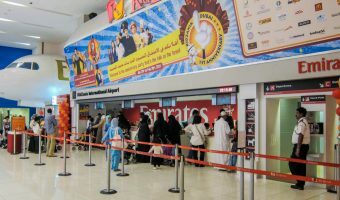 The cinema is situated on the Level 2 of the Dubai Mall, close to other entertainment venues such as KidZania. The cinema boasts its own dedicated parking area. 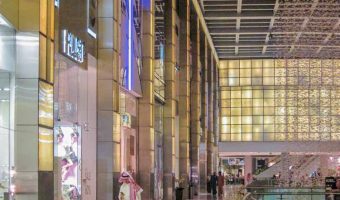 If you are coming by Metro take a Red Line train to the Burj Khalifa Dubai Mall Metro Station. 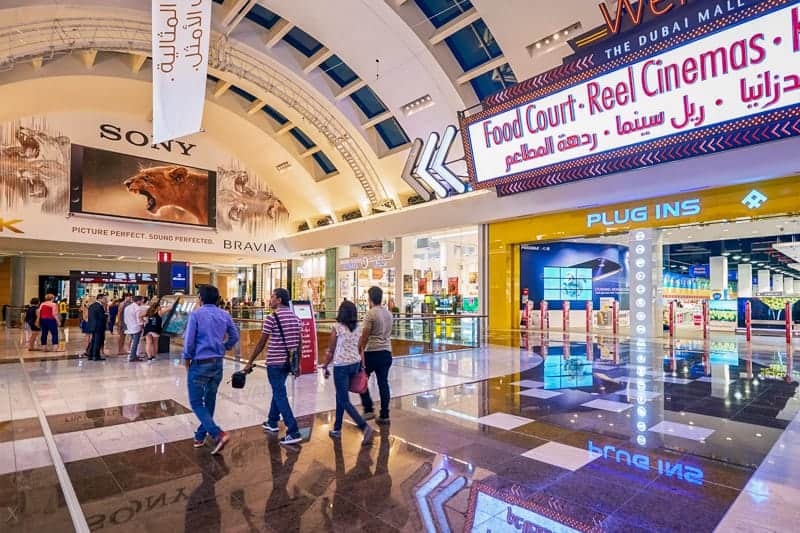 Reel Cinemas also operate at the Dubai Marina Mall, Jebel Ali Recreation Club, Rove Downtown, and Springs Souk. Map showing location of Reel Cinemas Dubai Mall.